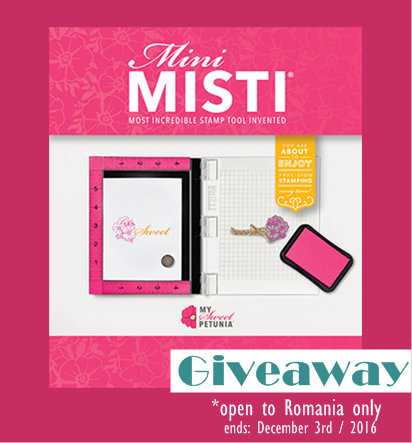 *This post is for my romanian readers and followers only. Postarea de azi va fi in limba romana, deoarece am o veste foarte buna pentru cei pasionati de handmade si mai ales de papetarie. Un hobby poate fi foarte costisitor. Mai ales, daca urmaresti tot ce apare nou pe piata. Lista devine tot mai lunga, timpul mai scurt si investitia mai costisitoare. My Sweet Petunia, a realizat un aparat super practic pentru stampilat. Sunt norocoasa sa am nu doar unul , ci doua , de care sunt foarte mandra si le folosesc cu mare drag. My Sweet Petunia este o companie din USA, iar asta face ca livrarea produselor spre Romania sa fie putin mai dificila. Asa ca, My Sweet Petunia ofera un MINI MISTI cadou, unei persoane din Romania. Concursul este deschis de azi pana la data de 3 decembrie 2016. Voi anunta castigatorul pe blogul meu , intr-o noua postare pe data de 5 decembrie. Mult succes! O zi minunata sa aveti! It's time for another 2 Cute Ink creation. I made a super cute bookmark,using a sweet unicorn digital stamp from 2 Cute Ink. They have so many beautiful digital designs. If you check out their website, you can get freebies, if you join their club. This bookmark will go really nice with any book, if you like reading or just use it for your daily planner. Still not sure if I will keep this cutie for myself, or give it away to a friend. My daily struggle as crafter *laugh*. If you like today's creation and want to see more, please keep an eye on my blog . I will be back with my last creation for 2 Cute Ink very soon. 'Till then take care of you and create something, anything! Hope you have a wonderful start this week. I am back home from my travelling and I can not wait to get back to my crafting. But before I do that, I have a card I made for Whimsy stamps. Another galaxy inspired card, but this time with a little twist. A spinning sparkly star along with a spiral die from Whimsy Stamps. Really great way to create interactive cards for the loved ones. Just experiment with your dies and see what you get. Whimsy Stamps has a beautiful collection of dies and they are really good quality . You can check them out on their website. If you want more inspiration, our design team is the right place. See more over at Whimsy Stamps Inspirations blog. I hope you enjoy today´s card. If you do, please share some love in the comments below or on my Instagram. Stay safe and have fun creating beautiful things! Hope you had a productive and postive week so far. Today I am back with a new card for 2 Cute Ink. 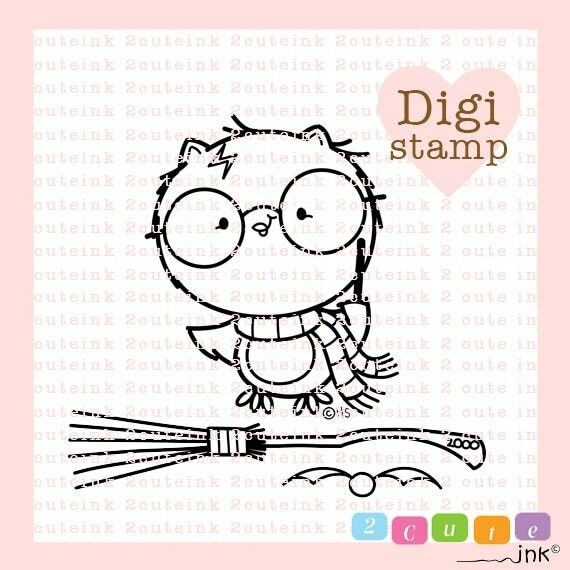 A very sweet online digital stamps shop with beautiful and sweet designs for any age. You will adore their designs. This is a pretty small card that will go along with a nice Christmas present. Big enough to write a nice message and to put a smile on someone's face. These images take so little time for coloring, because they are small and you don't need to add many details. But being digital stamps. you have the freedom to resize them as you wish. 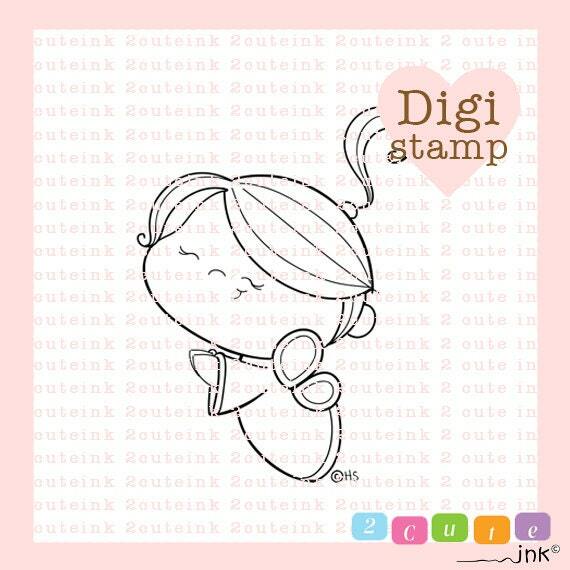 This ''Little Angel '' digital stamp will be perfect for Christmas cards or ''New Baby'' creations. Hope you get inspired to start creating your Christmas cards. Shipping and Postal Service can get pretty crazy and busy these days. It's time for a new Whimsy Stamps creation. Today I have a very adorable card to share, using some goodies from Whimsy Stamps. If you have some free time, please check out the amazing deals on their website. I don't think I should say again, how much I love rabbits. But hey! I love this cute bunny stamp. I can never have enough stamps with rabbit designs. I love everything about this card! The enamel dots and the stitched border give a very nice touch. If you want to see more inspiration from our design team, please visit the blog. Sometimes I post extra photos of my work and travels on my Instagram. If you want to keep up with that, please click follow. I have some exciting news to share with you all. If you love Whimsy Stamps,but you want to have easy access to some of the most adorable designs,now you can do it! It's Whimsy Stamps Digital Shop Grand Re-Opening! If you have a printer and you love digital stamps instead of rubber or clear ones,then you will love the new digi designs. And the great thing about digital stamps, is that you can print as much as you wish and resize the image for your personal projects. Here is my creation using a super adorable winter digital stamp called ¨N'ice friend' . This is such an adorable design. I think is really nice to make custom cards for the loved ones. It would make their day extra special. Guess what? There is even more! More digital stamps and digital pattern paper. We have talented crafters over at Whimsy Stamps and I would like to invite you all to check out their creations . There is even more fun over at Whimsy's Facebook event. You can win some goodies! I really hope you love these new designs, because I really think they are beautiful and well made. Thanks for stopping by! Have a wonderful and creative day! Hope you had a wonderful Halloween with your friends and family. Today's card is a special one. I couldn't share this earlier for Halloween. but you can still use it as inspiration for future cards. 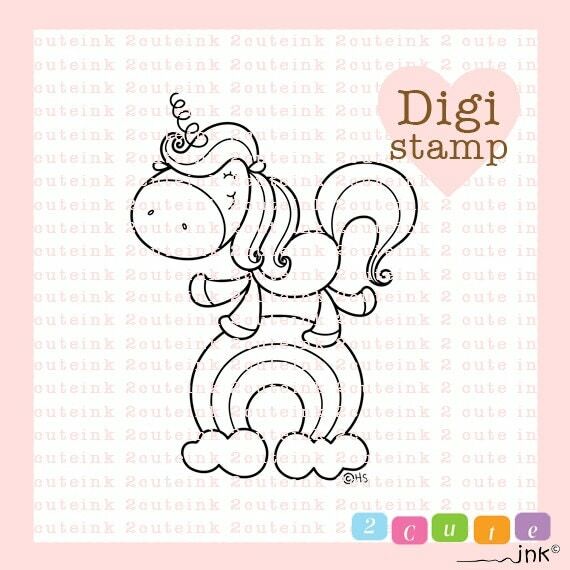 This month I will be sharing creations, using adorable digital stamps from 2 Cute Ink. I really hope 2 Cute Ink will start making their stamps into clear or rubber stamps, because the designs are super cute and I would love to have them in my stash at any time. I hope you will check their work and share some love. You can even join their club for more inspiration and freebies! I had so much fun working with this adorable ''Harry Potter Owl and accessories ''. You can not miss this cutie ! You can create non-halloween cards, using the same design. But you want to see how I made this card, please watch my Youtube video. I can not wait to share the other creations, using digital stamps from 2 Cute Ink. Keep an eye on my blog or instagram. Thanks for stopping by! Have a great day!